You will find a very good choice of beds and bedroom furniture at our furniture shop and showroom in Grange-Over-Sands, Cumbria. 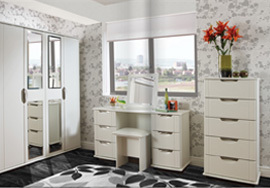 We have bedroom furniture suites at prices to suit most budgets, with accessories and soft furnishings to match – so you can arrange a whole bedroom makeover package in one store. The big brand names like Harrison Brothers, Corndell Furniture, Stuart Jones and Erskine Furniture who supply our bedroom furniture are known for the quality and finish of their workmanship. 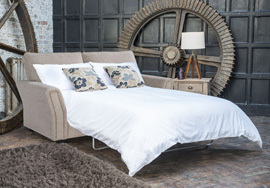 Our bed and mattress range includes a wealth of choice in comfort and style, and including Traditional Pocket Sprung Beds, Natural Fillings, Wool, Cashmere and Silk. 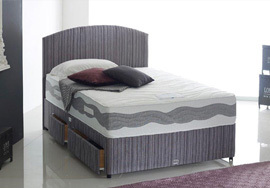 As well as a comprehensive selection of beds and bedroom furniture, Cromptons Quality Furnishers of Grange-Over-Sands also offers a very good range of Health Beds. Rotherham manufacturer, Healthbeds, have been helping people enjoy a healthier night's sleep for over one hundred years. By combining state of the art technology with traditional craftsmanship they are able to produce high quality, individually made beds that help our customers get the best night's sleep they've ever had. 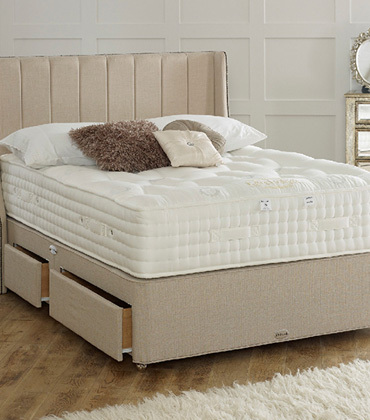 Healthbeds have a broad selection of mattresses, including 'Memory Foam', natural fibre filled mattresses, and Cooltex® cooling-warming technology, which helps the body to achieve a perfect sleeping temperature throughout the night. 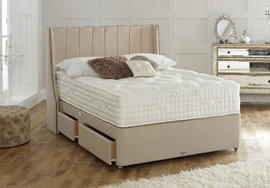 Mattresses from the Healthbeds 'Memory Foam' range of mattresses were recently voted 'Best on Test' by the independent 'Which Magazine'. Our range of traditional or contemporary functional furniture offers a fantastic blend of style and practicality to the home, and with absolutely no compromise on comfort. These versatile sofa beds extend the functionality of any space, providing a living room by day that converts easily into a bedroom by night. With an extensive range of fabrics and designs to choose from you are sure to find the one for you.